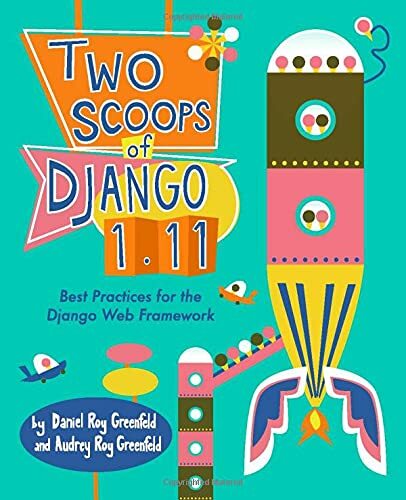 Two Scoops of Django: Best Practices for Django 1.5 is a compilation of best practices for the Django framework. Like any framework, Django has tips, tricks, and pitfalls that aren't documented in one place. Experienced developers know this stuff, but gleaning it off the Internet takes a lot of time. We decided to take everything we know and write it down. We stand of the shoulders of giants: We received advice from Django experts including a BDFL, Django core developers, and subject matter experts from around the world. Reader contributions from advanced and beginning developers have also shaped the book, and we can't thank enough those who gave us their insights. What is different about the beta release? Added 50+ pages of content while reducing the file size from 5.1 MB to 1.5 MB. Added list of tables, list of figures, and an index. Dramatically improved the chapters on security, testing, logging, admin, and many more. Added so many more code samples that even with the new example numbering system we lost count. Speaking of code examples, most of the code samples in the book are loaded directly out of fully tested projects. Incorporated the feedback of dozens of readers. Thank you so much for your contributions! What does buying the beta get me? Access to the Kindle and ePub formats when we release the final. Access to final release of the book. Why aren't there Kindle or ePub versions yet? We want to support more formats, but won't do it poorly. It's going to take us at least several days to render the book in an alternative format that looks good. Since we both have multiple presentations at the upcoming PyCon US, we simply don't have time to get it done. If I bought the alpha do I have to buy the beta? Alpha buyers get full access the beta. In fact, you should have already received an email with a link to the latest version. If that hasn't arrived, please email us at 2scoops@cartwheelweb.com. If any beginners are confused by our explanations, or have difficulties, please email us at 2scoops@cartwheelweb.com. We'll do our best to answer your questions. Your issues provide invaluable insight into what we need to improve. Is this book going to get updated? During the alpha we updated the book multiple times before knuckling down on the beta rewrite. Even after the final version comes out, we'll continue to update the book. One of the advantages of self-published e-books is we have total control of content. When can I get a print version? After a lot of consideration, we've decided to hold off on the print version of the book until what we call the final release, which won't be released until after PyCon US. We're very finicky and don't want buyers of the print version to have an unfinished book. Tutorial? PyCon? Are you going? Yes! We're going to be at PyCon next month! We're giving the Wiring Up Django Packages tutorial, and Kenneth Love (of Getting Started with Django fame) is part of our team. While tickets to PyCon itself are sold out, you can still register for the tutorials. When is the book's final release? The final release won't occur until after PyCon. 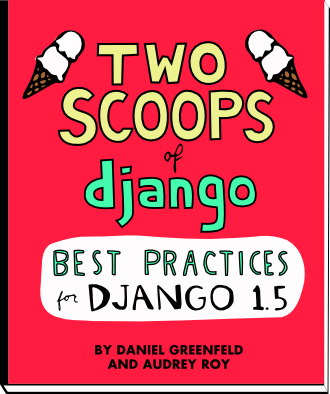 Our plan for the final release of Two Scoops of Django: Best Practices for Django 1.5 is to focus on errata, alternative electronic formats, and the print version. Can we purchase the book in bulk? We're working on a program to provide organizations the capability to purchase many e-copies and keep the recipients of the book updated constantly. We hope to have this ready in a few days. Can I buy the book via PayPal? No. I've answered in full here. We're considering other non-credit card options to handle payment. There are problems with copy/pasting of code from the PDF. The new build process is turning the code examples into some sort of image type of object, which explains the strange characters. We're working on it, but aren't sure how long the fix will take. On Android, if you try to open the PDF directly from the Gumroad download, you might get a "Cannot open file" error; however, if you navigate to the download location on your phone/tablet with a file browser (e.g. Samsung's "My Files"), you should be able to open the file from there. Gumroad is currently investigating the issue. Where should I send errata or suggestions? Please send errata to 2scoops@cartwheelweb.com. We try to respond personally to every request.